ITV re-launches separate programmes for the Border Scotland this week, in the first major expansion of ITV regional programming in over a decade. As part of ITV's new licence conditions, amidst concern that viewers in the Scottish part of the ITV Border region were not able to access news about Scotland ahead of this year's referendum, ITV is launching new programmes for the region. However, the new service will only be available on Freeview and YouView for those viewers who receive a signal from the Caldbeck (Scotland) and Selkirk transmitter groups. Some viewers in the affected region had to retune to regain ITV following technical changes in November ahead of this week's launch. Sky, Freesat and cable viewers will continue to receive the main ITV Border service, as broadcast across Cumbria, with ITV network programming. Starting Monday 6th January at 8pm, repeated Friday at 12:05am, Border Life with Fiona Armstong showcases life in southern Scotland. In the first episode, Fiona Armstrong follows in the footsteps of Robert the Bruce ahead of the 700th anniversary of Bannockburn. There is a visit to a famous country estate, and a meeting with an up-and-coming artist who recycles old textiles and driftwood to make scenes from the Borders. ITV network programme "Great Welsh Adventures with Griff Rhys Jones", which is scheduled to air elsewhere on ITV on Monday, will be broadcast on ITV Border Scotland on Tuesday at 11:05pm. The Scottish political agenda is brought to Border Scotland viewers on Tuesdays, Wednesdays and Thursdays with new show Representing Border, where ITV Border's new political editor Peter MacMahon presents the latest political news from Holyrood and Westminster with the stories that matter to the south of Scotland. During the show's first week, it will air at 10:35 on Tuesday and Wednesday and 11:35pm on Thursday, replacing ITV network programmes. Viewers with Freeview in the Border Scotland area can see any displaced ITV network programmes an hour later ITV+1 on Freeview channel 33, which is currently a timeshift of the ITV Granada service. Likewise, ITV HD in the Border region is a relay of the Granada region service in high definition, providing access to ITV network programmes, in lieu of any specific HD or +1 service for Border. Only available on Freeview and YouView in areas covered by the Caldbeck (Scotland) and Selkirk transmitter groups. The channel may appear as alternative version of Border in the 800 channel range instead of channel 3 on some Freeview receivers in northern Cumbria and parts of Dumfries and Galloway, where both Border versions are available. Viewers in the crossover area in northern Cumbria and Dumfries and Galloway can manually tune Border Scotland on UHF channel 24 or Border England on UHF channel 28. ITV network programming continues on Border (England), ITV+1, ITV HD and for Border viewers on satellite and cable. Some viewers in northern Cumbria and Dumfries and Galloway may be able to receive two variants of ITV Border on Freeview as a result of the changes, because the main Caldbeck transmitter broadcasts both versions to cover viewers on either side of the border. Typically, Freeview receivers will store one set of BBC and ITV channels in the regular channel slots (1,2 and 3) and any duplicate or alternative versions channels in the 800-899 channel range. Border Scotland originally existed before digital switchover, when the service carried STV's Scotsport at the weekends, with coverage of Scottish sporting events. 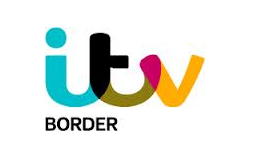 ITV closed Border Scotland as part of a major restructuring of the ITV regions, which ultimately saw the Border region merged with Tyne Tees until recently.